JRiver is widely respected by audiophile manufacturers and their customers. It is the benchmark of the industry. JRiver Media Center audio is bit perfect. This means that it can output your CDs, your HD audio (88.1 KHz, 176 KHz, and more), your DSD, and any other audio perfectly to your DAC. The leading website for computer audiophile topics gave JRiver Media Center a very favorable review. Here's what Computer Audiophile had to say. "In January 2010 at CES I listened to a demo using JRMC 14 and was really pleased with the sound. JRMC was running on a Mac laptop with Boot Camp and Windows 7. I compared the sound to the OS X / iTunes partition on the same laptop and was surprised at how much better I like JRMC in that system. I was finally convinced I needed to take JRMC much more seriously. Shortly after arriving home from Las Vegas I arranged a meeting with the people at JRiver and started using the application exclusively." All audio handling inside the program is done with 64 bits of precision. Most high-end hardware uses 24-bit output, meaning the engine has an additional 240 dB of precision above the hardware's output. As a result, should you choose to use them, digital volume, room correction, and other audio functions are pristine. JRiver supports WASAPI, the best way to communicate with a DAC on Windows. JRiver is a pioneer in lossless compression. Matt Ashland, JRiver's CTO, created Monkey's Audio (APE), one of the first lossless compression codecs. Media Center fully supports WAV, AIFF, FLAC, APE, WMA Lossless, Apple Lossless, and WavPack. JRiver Media Center plays high definition formats of FLAC available from HDTracks. 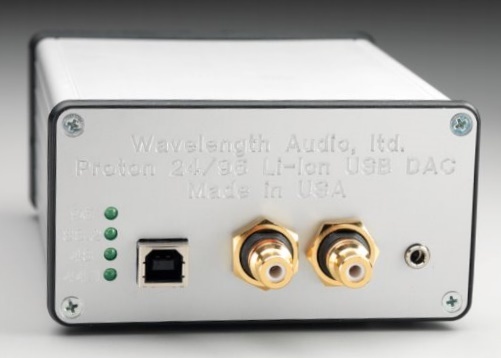 Media Center can bitstream DSD to high-end DACs using ASIO 2.2. Media Center is the ideal system for listening on high-end headphones. It includes an (optional) audiophile-grade crossfeed that makes headphones sound more natural and less fatiguing. Read more about the innovative audiophile features that JRiver Media supports on the JRiver Wiki.